Hotel Spero - San Francisco, CA, web site will explicitly ask when they need information that personally identifies you or allows them to contact you ("Personal Information"). Generally this information is requested when making reservations, joining the Priority Club® Worldwide frequent traveler program, registering for a site, when requesting a particular service, or when entering a sweepstakes or contest. When possible, Hotel Spero web site will provide you with the means to make sure that your Personal Information is correct and current. Hotel Spero - San Francisco, CA, web site and its service providers use your Personal Information to operate the sites, provide services, and to inform you of new features, services, and products. 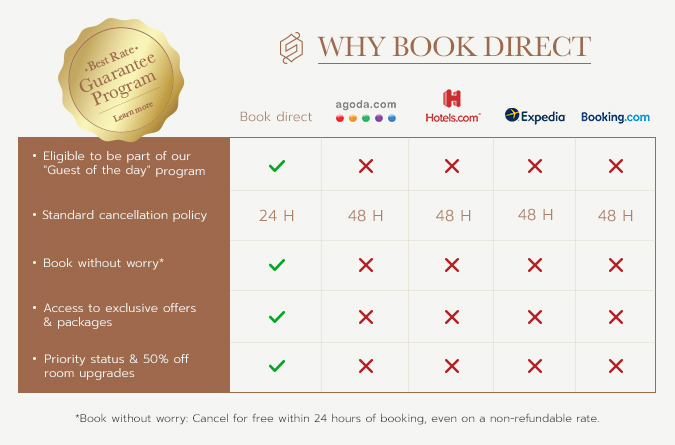 Hotel Spero web site may also carefully select other companies to send you information about their products or services but are not necessary to its operation (a "Secondary Use"). If Hotel Spero - San Francisco, CA web site intends to use Personal Information for a Secondary Use, Hotel Spero will provide you with the ability to decline this service. Hotel Spero - San Francisco, CA web site may disclose Personal Information if required to do so by law or in the good-faith belief that such action is necessary to (a) comply with applicable law or with legal process served on Six Continents Hotels, Inc. or the site; (b) protect and defend the rights or property of Hotel Spero - San Francisco, CA, or this site, and (c) act under exigent circumstances to protect the personal safety of users of Hotel Spero - San Francisco, CA, the site, or the public. If at any time you believe that Hotel Spero - San Francisco, CA web site has not adhered to these principles, please notify Hotel Spero - San Francisco, CA by email at info@hotelspero.com and we will use all commercially reasonable efforts to promptly determine and correct the problem. If you would like to opt out of targeted advertisements based on your user experience, please email info@hotelspero.com.